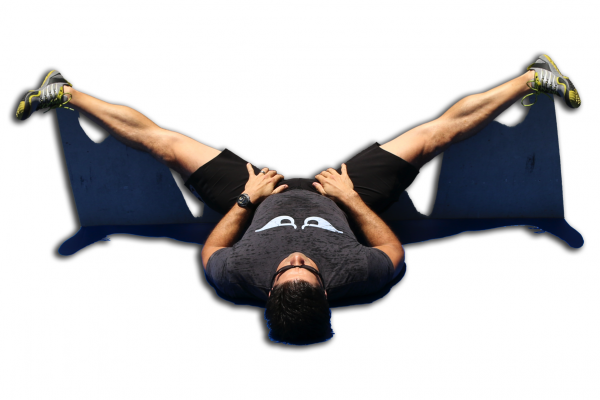 This SMR exercise is to address the deeper knots in your vastus medialis along the inner front side of your thigh. If you have tightness or discomfort of the knee, deep dull aches in lower or inside portion of your thigh, or general knee issues, then this exercise is likely to help. We endorse the following compression straps for use in SMR techniques to improve circulation and more quickly relieve soft tissue issues that limit muscular performance. By using the appropriate level of tension for short periods of time (30 seconds up to 2 minutes) you can help your stubborn, tight muscles to relax more quickly and lessen the stress on your joints. 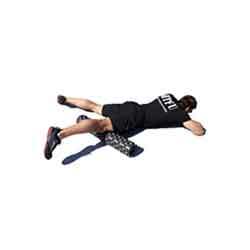 An added "side effect" of the reperfusion that immediately follows use of the compression strap is a reduction in the perceived pain in your tight muscles as you use a roller or ball to practice SMR. SOOOOOO, use the compression strap immediately before using your rollers or balls. It will hurt less and bring you faster results. Use these bands for lighter to moderate resistance and light to aggressive compression. Pack of all 4 Bands (Levels 1 through 4) has a 1-7/8" wide and 2-6 lbs. resistance band up to a 2-1/2" wide and 5-13 lbs. of resistance band. These 80" long bands can be used for entry to moderate level strength training, or in a rehabilitation setting. This product is extremely durable, latex-free and made in the USA. Click here to view all of the individual straps. Any suggestions for use of the items on this page with SMR techniques are made for educational purposes only. No claim is made to provide relief of any diagnosed disorder. Proper use of any of the products or educational materials found on this site are the sole responsibility of the user. Pictured above is the plantaris muscle. It helps bend your knee and raises your heel toward your knee. It attaches to the inside portion of the back of your thigh bone very near your knee and to the back of your heel bone. If this muscle locks up it will feel like a tight ball behind the knee. It is typically a symptom muscle instead of a source of your troubles. If you have plantaris issues you have OTHER bigger and stronger muscles that are not doing their job properly. If this muscle regularly locks up on you, then you need to work on your quads EVERY DAY. Your quads extend (straighten) your knee, and the plantaris helps flex your knee. The quads are MUCH stronger than the plantaris (and all the other knee flexors, for that matter). In addition, your soleus muscle is probably locked up and your brain is firing the plantaris to help raise your heel more than it can handle. 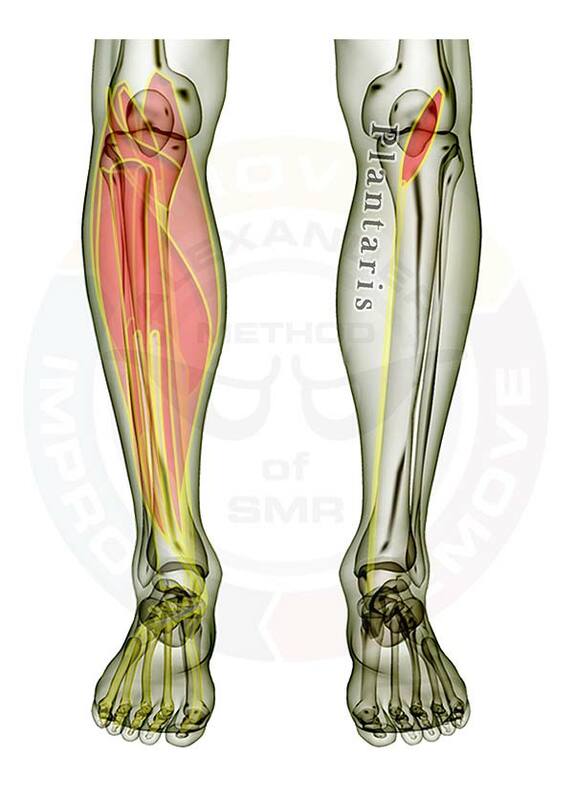 Be sure you check the soleus to relieve knots in it so your plantaris is no longer working harder than it should be. The plantaris is displayed on the right leg. On the left leg the muscles are layered, showing how some of the muscles are covered by the others. All of the muscles are see-through so that you can appreciate the location and size of each muscle relative to the others. 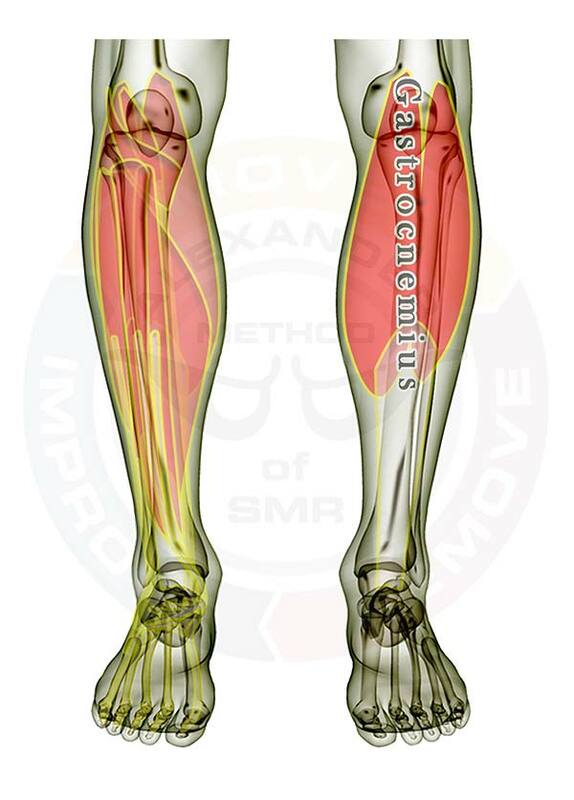 The following muscles attach across or below the knee. Pictured above is the popliteus muscle. It unlocks and bends your knee. It attaches to the outer portion of the back of your thigh bone very near your knee and to the upper portion of the inside rear of your largest lower leg bone (the tibia). If this muscle locks up it will feel like a tight ball behind the knee. If this muscle regularly locks up on you, then you need to work on your quads EVERY DAY. Your quads extend (straighten) your knee, and the popliteus flexes your knee. The quads are MUCH stronger than the popliteus (and all the other knee flexors, for that matter). 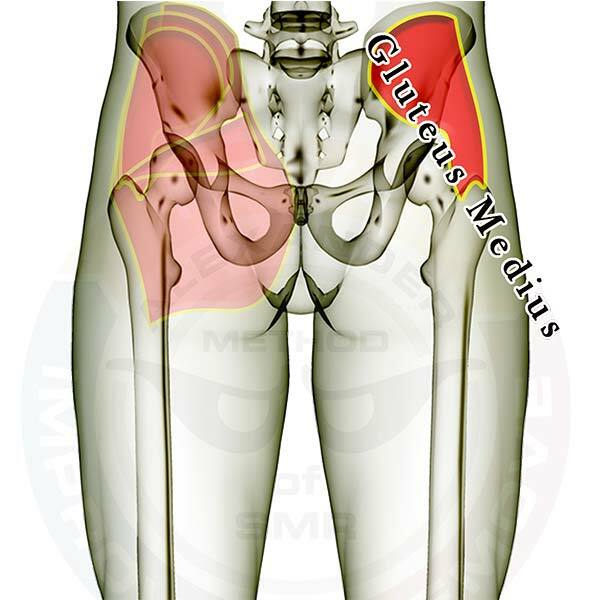 Be sure you check the other muscles that attach to the knee when dealing with popliteus trouble. Pictured above is the gastrocnemius muscle. It pulls your heel toward your thigh and also flexes your knee. It attaches to the back of your thigh bone very near your knee and to the upper portion of the outside of your Achilles tendon. Your soleus muscle also attaches to the Achilles tendon, but on the inside (the other side that the gastroc attaches to). Your soleus muscle is VERY likely to need LOTS of stretching and SMR attention. Occasionally, the gastroc will need attention too. Pictured above is the gracilis muscle. It runs from your pubic bone to just below your knee on the inside of your leg. 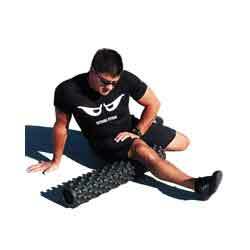 It primarily works as a stabilizer for the leg on the hip joint and pulls the leg inward. When this muscle is overly tight (and this is true for many of us), you will have trouble comfortably opening your legs really wide. This leads to compromised leg positioning for some functional movements such as the deep squat.